This versatile legume has a nutty taste and a buttery texture. It is a highly noted ingredient in the Middle Eastern and Indian dishes. There are two kinds of chickpeas- Desi Chana: It is smaller, and has darker seeds with a rough coat. Kabuli Chana: It is larger, light colored and has a smooth coat. They provide a concentrated source of protein and fiber. Chick peas are known for their high fiber content. The insoluble fiber present in them keeps the colon cells active and healthy, thus reducing the risk of colon problems and colon cancer. Studies have shown that regular intake of chick peas and other legumes reduce the risk of heart diseases. 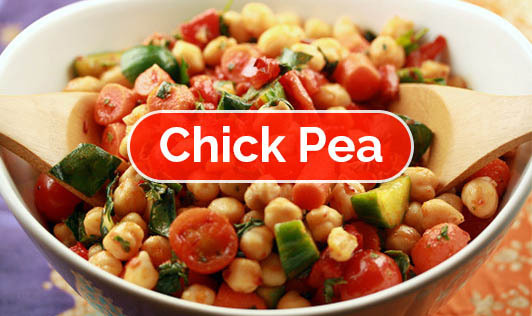 Chick peas give us a feeling of fullness and eliminate hunger pangs. The unusual combination of protein and fiber also helps to consume lesser calories. Although Chickpeas has a number of benefits, some of them avoid eating this healthy legume for the fear of developing gas/flatulence. This is due to the presence of certain types of carbohydrates present in them that undergo fermentation in our intestine and produce this excess gas. But, what if there is a way to minimize this effect? Soaking chickpeas till they double the size releases the gas causing agent. Do not add salt or cooking soda while soaking. Add a piece of ginger or bay leaf while boiling chickpeas. It makes it easily digestible. Add it to your salads. Add chick peas to your soup to enhance the taste, texture and nutritive value of your meal. Simmer cooked chick peas with tomato paste, spice, curry powder and walnuts and serve this chick pea curry with rice.